Benji is available to stream on Netflix beginning March 16th. If you enjoyed Joe Camp’s adventurous Benji (1974) featuring Peter Breck as a single dad and an adorable stray mutt that loves kids, fights crime and saves lives, Netflix’s remake is probably worth watching this week. Benji, co-written and directed by Brandon Camp (Love Happens), debuts this Friday, March 16 on the streaming service. With a caveat, I enjoyed the new Benji. Director Camp, son of Benji‘s original creator, seamlessly captures the simple magic and joy of watching a scrappy little street dog try to get a home and a boy to adopt and love him. 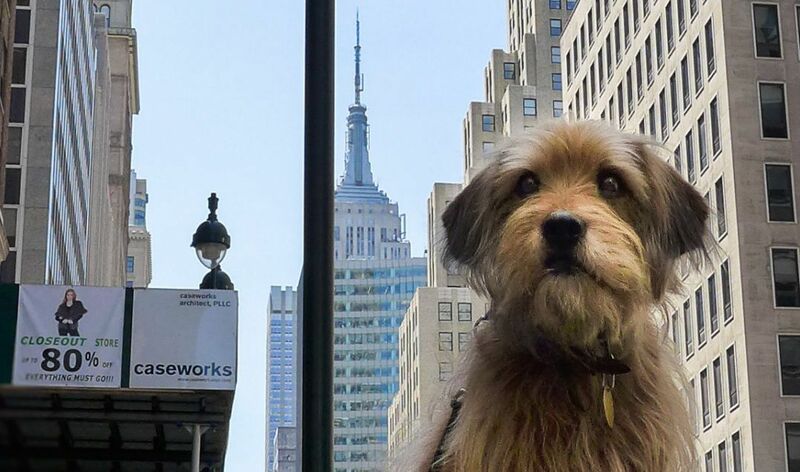 I think Benji’s fundamentally enduring appeal, and, as a movie series, it’s had several successful sequels, lies in its depiction of a dog that can think and act with a sense of purpose. Audiences like seeing these qualities on screen and dog owners and lovers know that dogs are often as amazing as portrayed. The low-budget, independent charm of the 1974 picture carries into this version, too, with a few changes to the basic story but the same unaffected, family-friendly sensibility toward decent, hardworking people and the persistent dog that comes into their streets, shops, homes and lives. This means Benji bonds with a boy (Gabriel Bateman) and, later, his sister (Darby Camp, no relation) whose emergency medical worker single mother (Kiele Sanchez) nixes the idea of getting a dog on practical grounds. The dog is the star of this show and Brandon Camp gets him from every angle, scampering about, climbing, pouting, bounding and jogging through the seasons and breaking into a full sprint to save the kids when they’re endangered. His expressive eyes work wonders on humans and his little black nose picks up clues, too. A terrific plot point comes with humor in enlistment of another dog when Benji’s luck runs out and local police stumble on the job. Add a pawn shop angle, a pair of nasty thieves, a prayer, a boatyard, found cell phone video, being named after Benjamin Franklin and being kicked out in the rain, and Benji delivers. He’s the cutest dog in pictures since the lifesaving dog in The Artist and a worthwhile successor to the original Higgins as Benji, if not quite as stray-looking as that unkempt mutt. What feats the new Benji (real name: Benji) accomplishes, leaping and balancing about, are as plausible or as implausible as other dog tricks in the series or films starring Lassie or Rin Tin Tin. I could watch him in almost any movie, though I also enjoyed the last movie in the series, Benji Off the Leash, so I’m admittedly a fan. A heavy-handed plot twist puts a damper on the light, wholesome, 87-minute Benji. If you love dogs and watch, and you should watch if you subscribe to Netflix, you’ll know the faith-based twist when you see it in an instant. It’s not necessary, it goes on too long, which is part of what makes it too thickly laid on, and it breaks character. But the scenes of a dog bonding with a boy and trying to save him from harm are compelling on their own terms, especially the expression on Benji’s face when he first sees the boy, and young Bateman as the boy is likable and easy to watch. Almost as much as Benji. I give Benji a B.